Pop solo performance goes to: ROYALS. Lorde: "Well, hello, this is the one thing that I did not expect the most about tonight, so thank you so much." OK, time to comment. Shall we look ahead, or in the rearview? 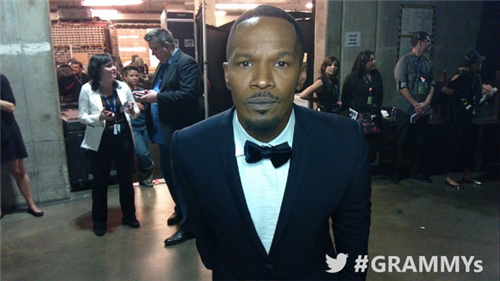 Who’s going to win the next GRAMMY, for Best Rap/Sung Collaboration? 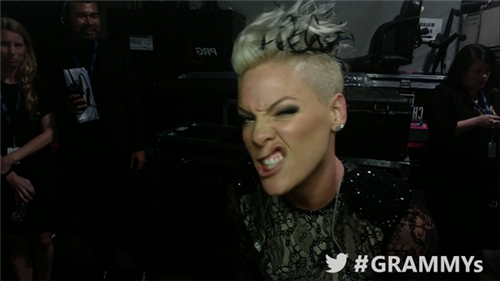 What did you think of the onstage chemistry between Pink and Nate Ruess? Now that Lorde is a GRAMMY winner, will she start wearing diamonds on her timepiece? Doubtful. #Lorde just nailed her #GRAMMYs acceptance speech: surprise, homage to her elders, & delight just to be there. 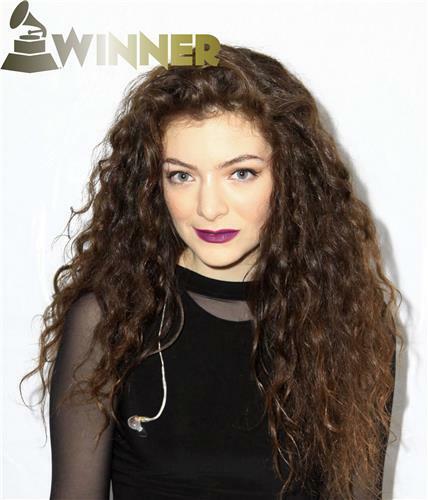 "@TheGRAMMYs : Congrats to Best Pop Solo Performance @lordemusic "Royals" #GRAMMYs " oh my God, she deserve it. I love you ???????????????????? We’ve also got a landmark performance coming up to think about: There’s a Beatle in the house. Ringo Starr is about to take the stage. 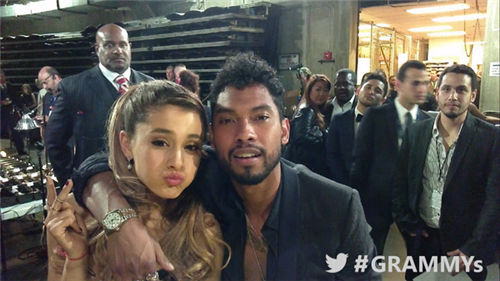 Pink + Jamie Foxx + Miguel & Arianna Grande pose at the GRAMMY Twitter mirror! I can’t stop thinking about Robin Thicke and Chicago. Oh, the charisma! Also Taylor Swift’s long gaze into the camera at the end of her song. What’s your favorite flashback so far? 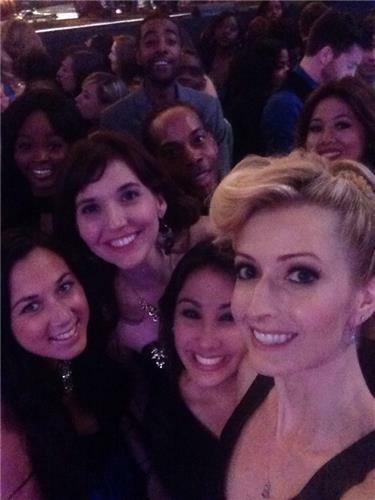 We're having a blast in the pit! Best pop solo performance: Lorde awww. That was 100% genuine response. #GRAMMYs I didn't think she would win. 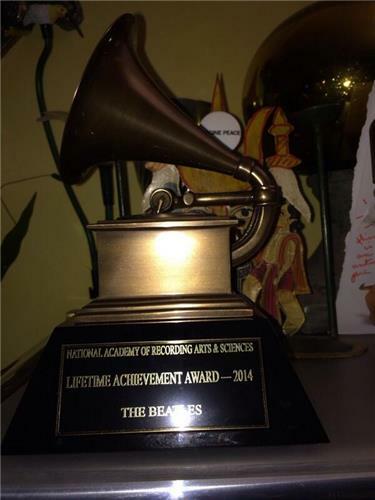 You got one right The GRAMMYs. 3 wise men about to present: Black Sabbath! What a welcoming committee: Ozzy and Black Sabbath are here to bring out Ringo. He likely didn’t need a little help from his friends, but he’s got it. You guys were right! The answer is: 1,500. 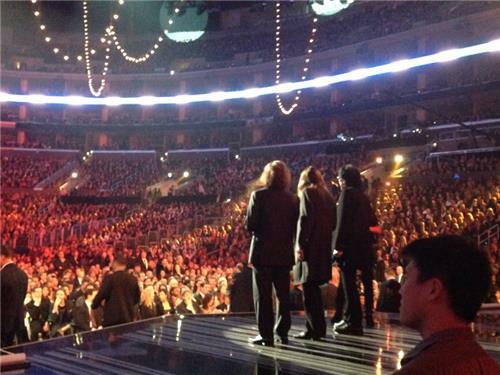 It takes 1,500 stage crew members to put on a GRAMMY show! And our hands are sore just from live-blogging. Wait. Ringo and Paul are separate performances? 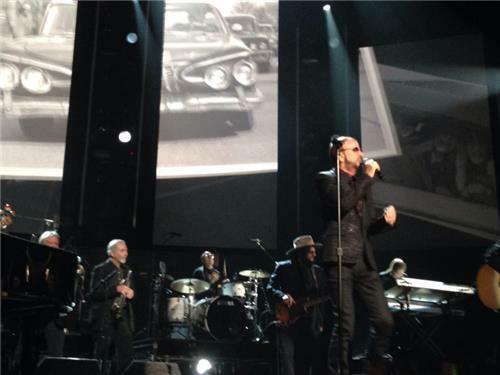 “Photograph” is Ringo’s hit from his 1973 album “Ringo.” He wrote it with the late George Harrison. No biggie, just a BEATLE! Beatles fans don’t need me to tell them why next month marks a huge Fab Four milestone, but here’s an explanation for everybody else: Feb. 9, 1964, is the date the Beatles first played “The Ed Sullivan Show.” In other words, it was 50 years ago that our country went cuckoo for mop tops. Are the Chicago fans now saying, "Sheesh, this show just got old." Ringo is 73. Does it show? Hardly! He looks fit and spry and ready to conquer the world a second time. He could pull off a one-man Ringo invasion. 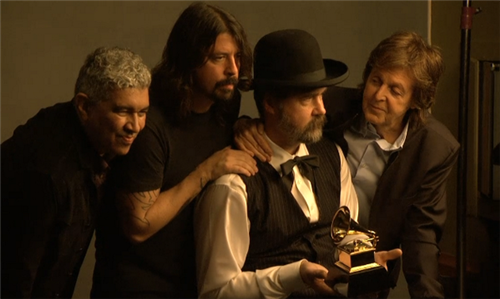 Why do the Grammys seem so Beatles-heavy tonight? February marks the 50th anniversary of their American debut on the Ed Sullivan show. This is a sentimental classic, and a sentimental moment, no doubt, for gazillions of Beatle worshippers. Every time they see Ringo’s face, they’re reminded of the places they used to go …. So, two more hours then? Two and a half? Well worth the adulation, that song. He’s keeping beautiful memories, and beautiful melodies, alive. 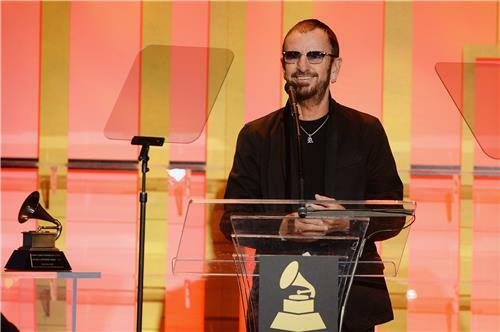 Earlier this week Ringo Starr was at the Special Merit Awards Ceremony & Nominees Reception to accept his Lifetime Achievement Award with the Beatles.